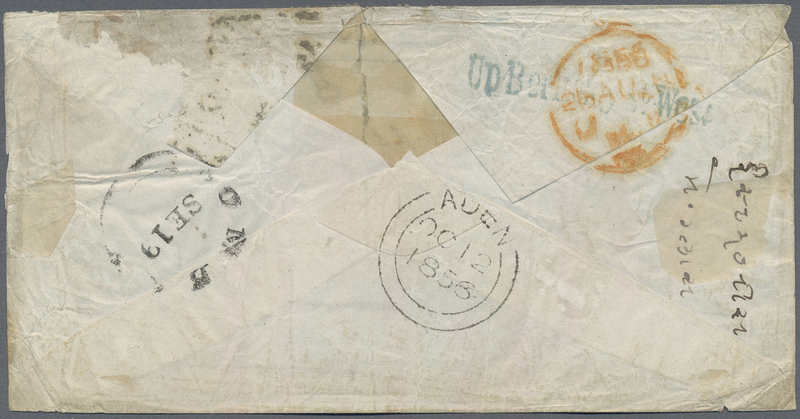 1856 Cover from London to a Lieutnant serving in the Bombay Artillery, re-directed to Aden, with three-colour franking of embossed 6d., 1841 1d. and 1841 2d. (2) all tied by numeral "50" of Victoria Docks, and on the reverse with London '26 Aug 56' despatch cds in red, Bombay cds and "ADEN/OC 12/1856" arrival cds of Aden Camp (Proud D1). The 6d. adhesive cut-to-shape and the 1d. stamp affected by cover fold/crease and cover's back-flap incomplete. 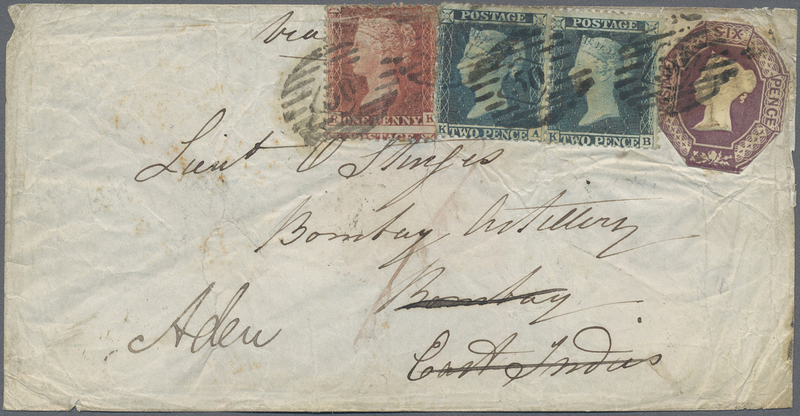 Nevertheless an attractive franking and a scarce cover to Aden Camp.